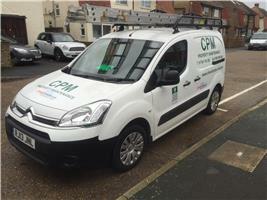 CPM - Fascia/Soffits/Guttering, Fencing/Gates, Roofer based in Egham, Surrey. Hi, at CPM we offer a wide range of services from new fencing and gates, upvc fascia and soffits/guttering, fiberglass flat roofing and much more. We are polite, friendly and offer competitive pricing and quality workmanship. We pride ourselves on customer satisfaction. We now offer the TuffStuff GRP Flat Roof Waterproofing System, buildings regulations compliant & full fire certificate we are qualified installers and offer a 20yr guarantee.